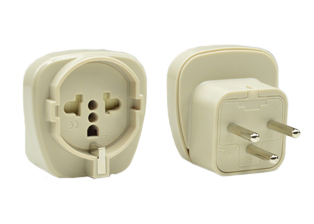 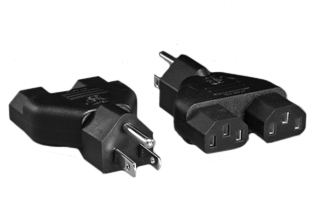 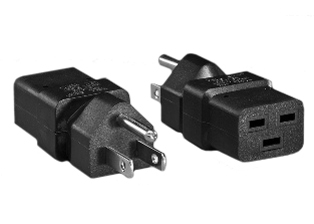 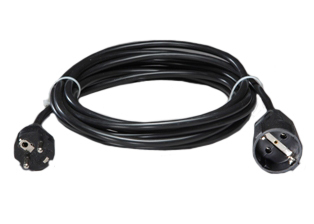 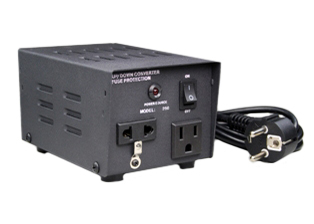 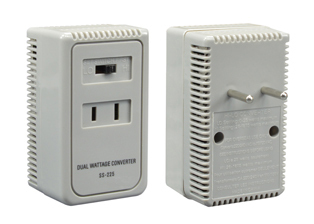 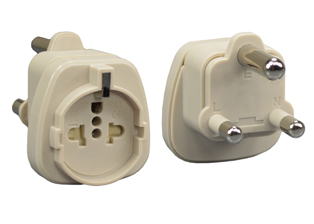 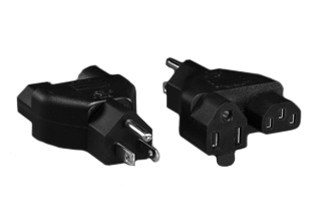 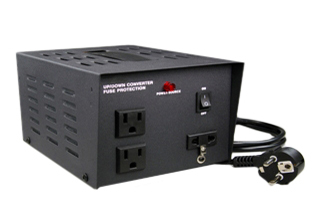 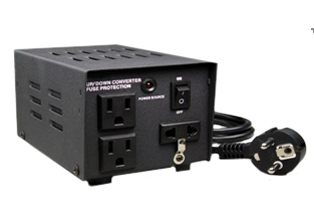 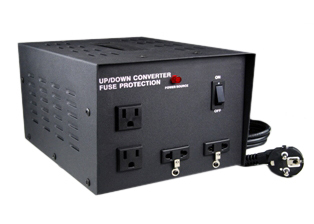 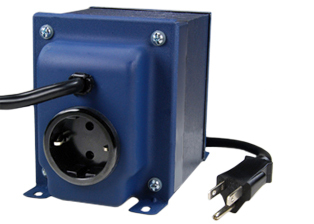 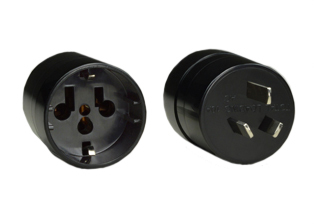 EUROPEAN INTERNATIONAL VOLTAGE TRANSFORMER, INTERNATIONAL POWER CONVERTER 500 watts (VA), 50/60 Hz, NEMA 5-15R power outlet, "Schuko" CEE7/7 EU1-16P plug. 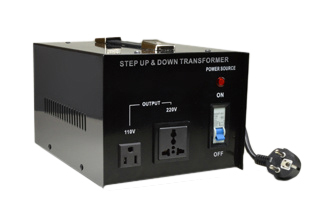 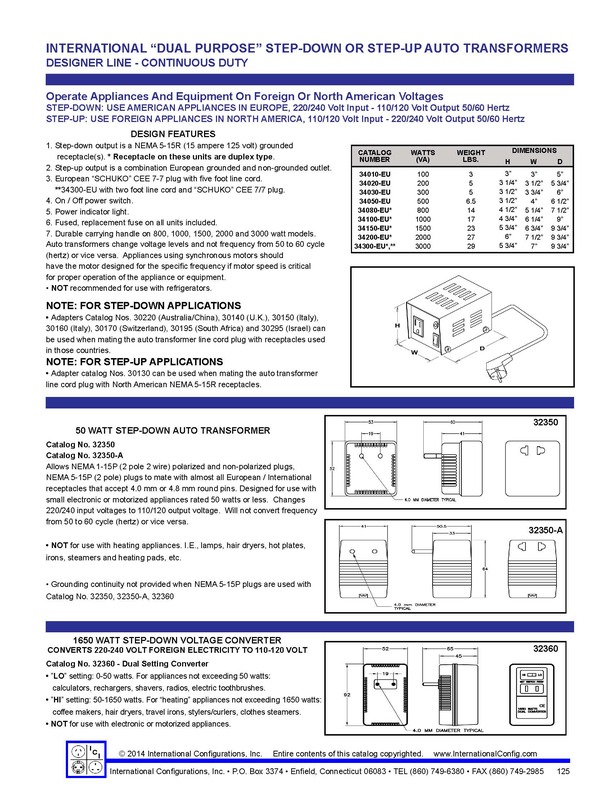 Step up and Step down 220, 230, 240, 250 volt auto transformers, continuous duty. 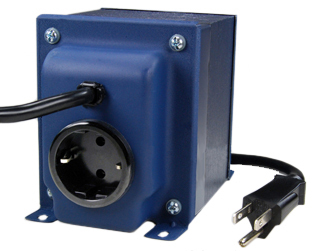 Description: EUROPEAN INTERNATIONAL COMBINATION VOLTAGE STEP-DOWN OR STEP-UP TRANSFORMER, 500 WATTS (VA), 50/60 HZ, FUSED, NEMA 5-15R OUTLET. 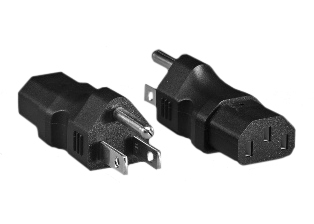 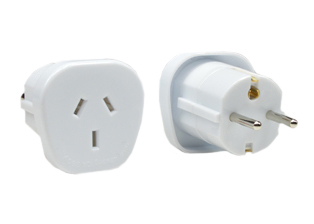 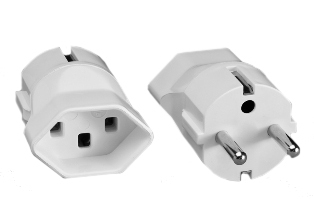 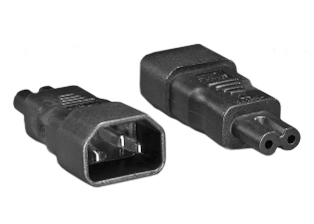 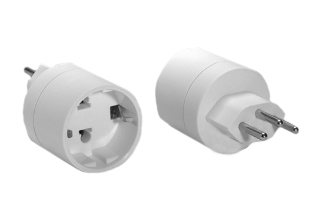 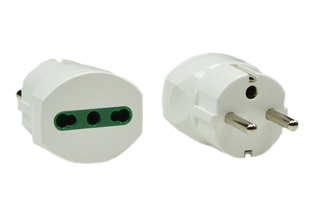 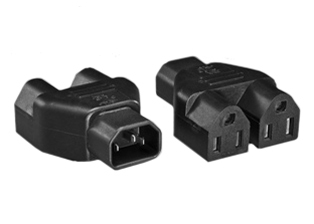 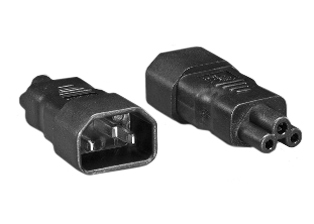 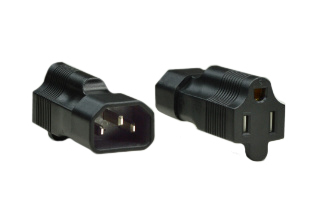 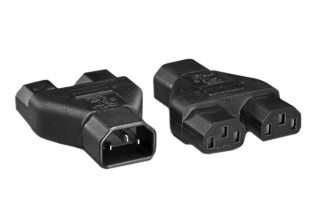 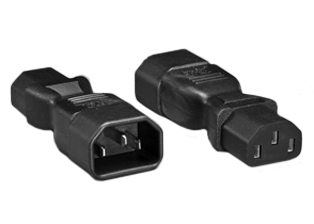 ON-OFF SWITCH, "SCHUKO" EU1-16P PLUG . 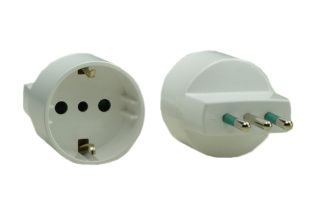 CE MARK. 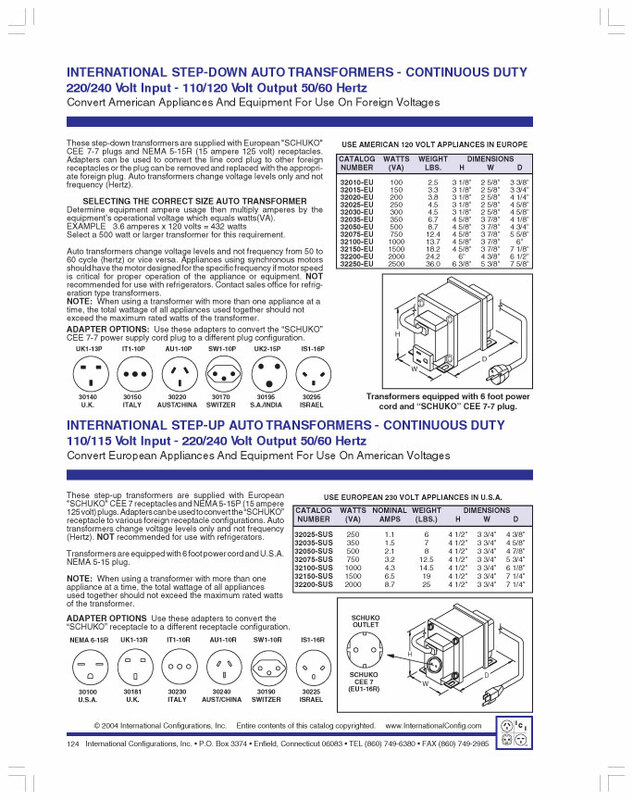 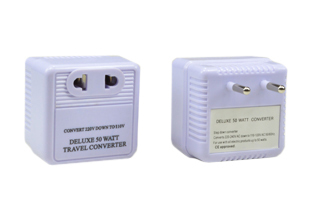 Auto transformers change voltage levels and not frequency from 50 to 60 cycle (hertz) or vice versa. 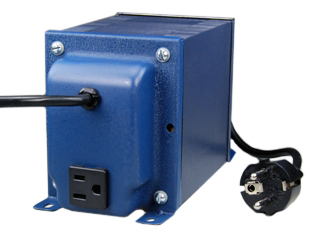 Appliances using synchronous motors should have the motor designed for the specific frequency if motor speed is critical for proper operation of the appliance or equipment. 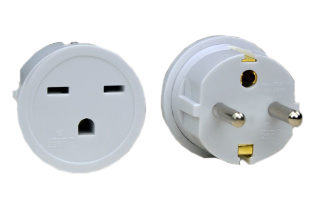 NOT recommended for use with refrigerators.